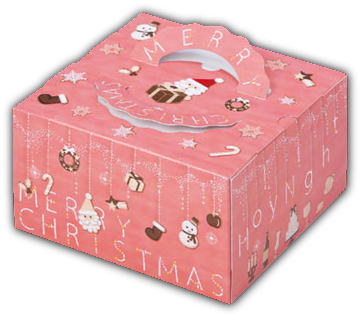 6-1/4 x 6-1/4 x 4-1/2"
7-1/4 x 7-1/4 x 4-1/2"
8-3/8 x 8-3/8 x 4-3/4"
10 x 10 x 5-1/2"
Merry Pink: Also available with trays (please see the link at the top for all cake boxes and tray pricing). 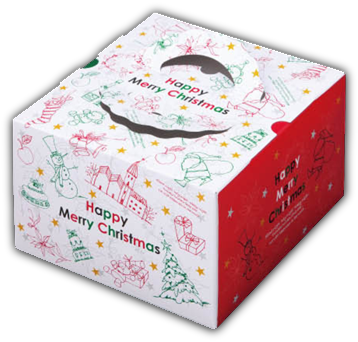 Story: Also available with trays (please see the link at the top for all cake boxes and tray pricing). 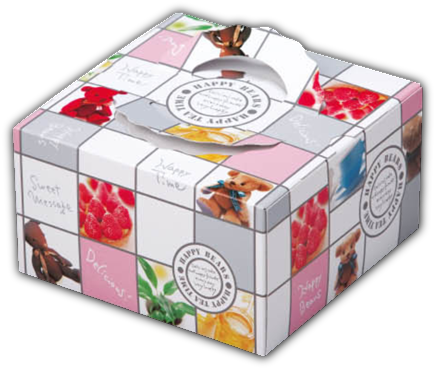 March: Also available with trays (please see the link at the top for all cake boxes and tray pricing). 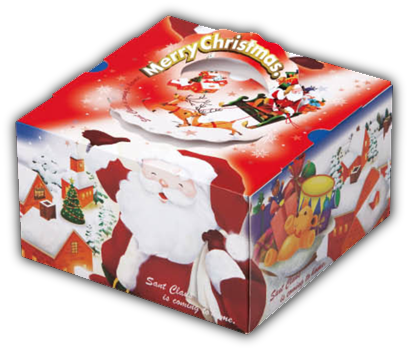 Yume Santa: Also available with trays (please see the link at the top for all cake boxes and tray pricing). 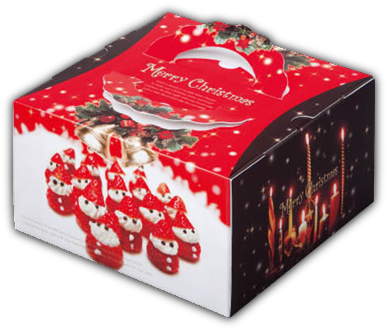 6-1/4 x 6-1/4 x 5-1/2"
7-1/4 x 7-1/4 x 5-1/2"
8-3/8 x 8-3/8 x 5-1/2"
Nordic: Also available with trays (please see the link at the top for all cake boxes and tray pricing). 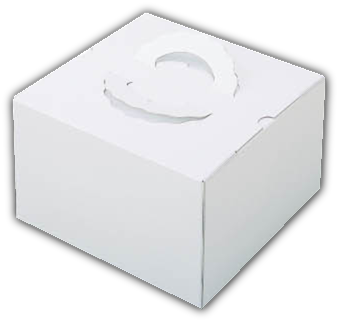 10 x 10 x 6-1/8"
Bright: Also available with trays (please see the link at the top for all cake boxes and tray pricing). 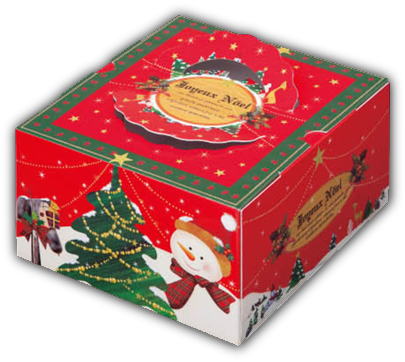 Snow Tree: Also available with trays (please see the link at the top for all cake boxes and tray pricing). 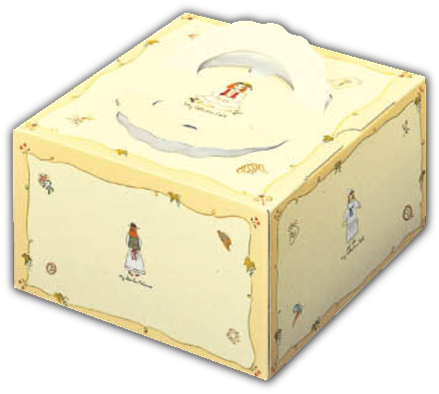 6-1/4 x (6-1/4+3/4) x 4-3/4"
7-1/4 x (7-1/4+3/4) x 4-3/4"
8-3/8 x (8-3/8+3/4) x 4-3/4"
Neige: Also available with trays (please see the link at the top for all cake boxes and tray pricing). Skip: Also available with trays (please see the link at the top for all cake boxes and tray pricing). 8-7/8 x 8-7/8 x 4-3/4"
4-1/8 x 5-7/8 x 4-3/4"
4-3/4 x 7 x 4-3/4"
5-7/8 x 8-1/4 x 4-3/4"
7 x 9-7/8 x 4-3/4"
White: Also available with trays (please see the link at the top for all cake boxes and tray pricing). 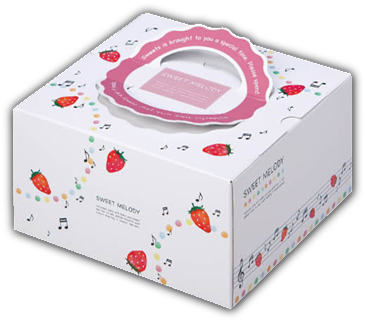 Melody: Also available with trays (please see the link at the top for all cake boxes and tray pricing). 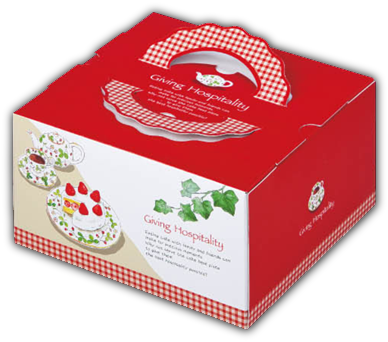 Ivy: Also available with trays (please see the link at the top for all cake boxes and tray pricing). 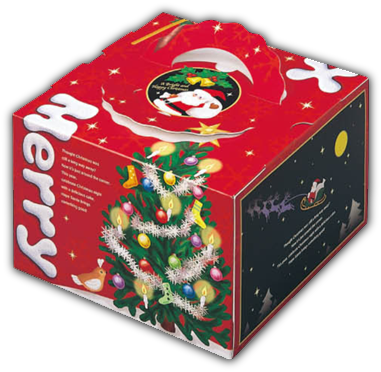 Humming: Also available with trays (please see the link at the top for all cake boxes and tray pricing). 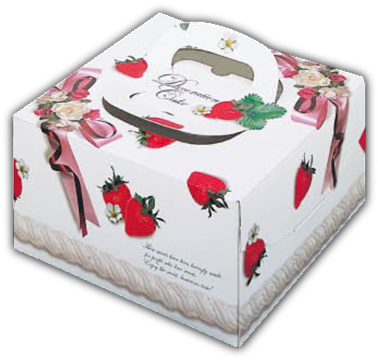 Berry: Also available with trays (please see the link at the top for all cake boxes and tray pricing). 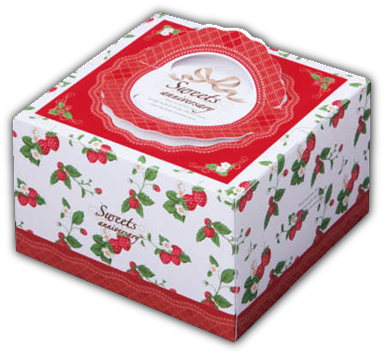 Cherie: Also available with trays (please see the link at the top for all cake boxes and tray pricing). 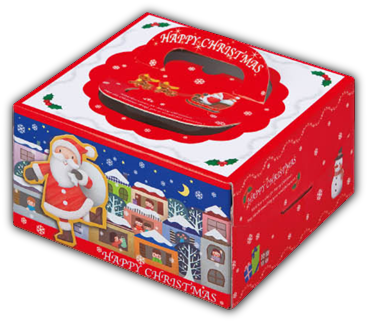 Daily: Also available with trays (please see the link at the top for all cake boxes and tray pricing). 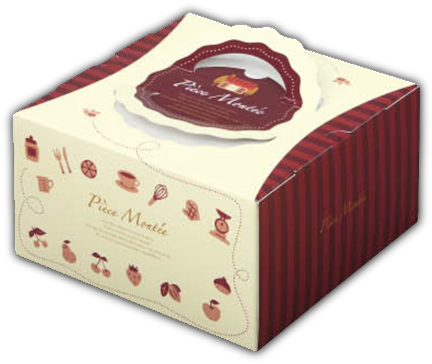 Basket: Also available with trays (please see the link at the top for all cake boxes and tray pricing). 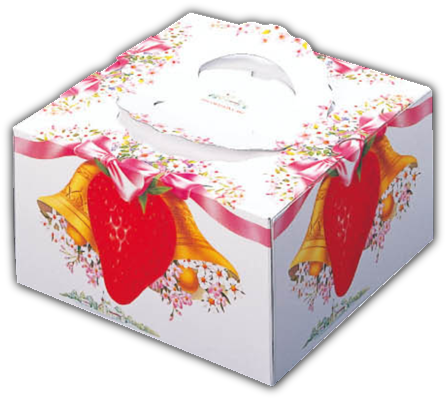 Noichigo: Also available with trays (please see the link at the top for all cake boxes and tray pricing). 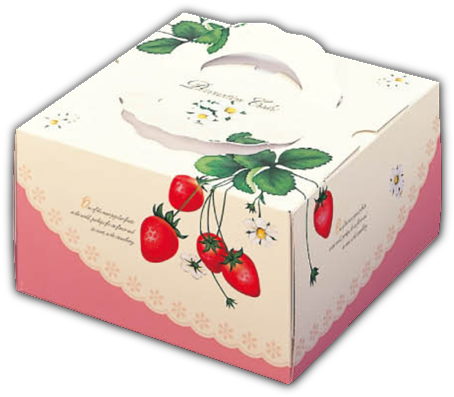 Ichigo: Also available with trays (please see the link at the top for all cake boxes and tray pricing). 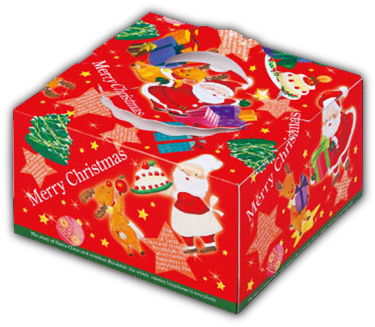 Piece: Also available with trays (please see the link at the top for all cake boxes and tray pricing). 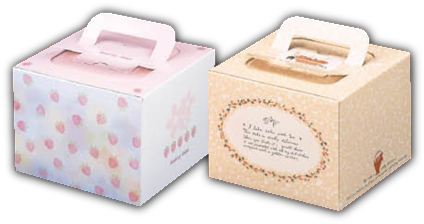 Kotori: Also available with trays (please see the link at the top for all cake boxes and tray pricing). 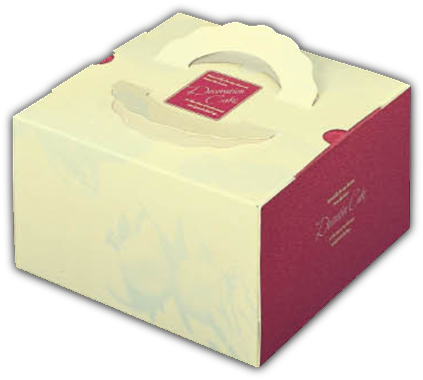 Blossom: Also available with trays (please see the link at the top for all cake boxes and tray pricing). 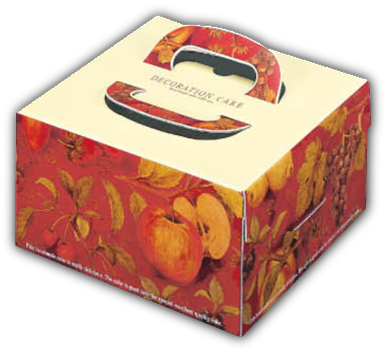 Nature: Also available with trays (please see the link at the top for all cake boxes and tray pricing). 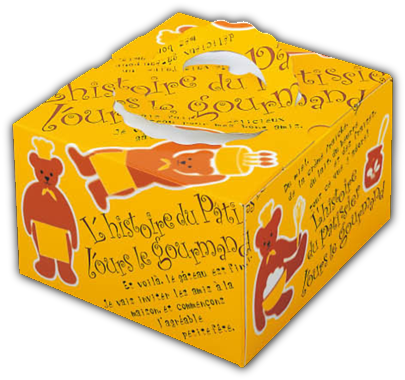 My Doll: Also available with trays (please see the link at the top for all cake boxes and tray pricing). 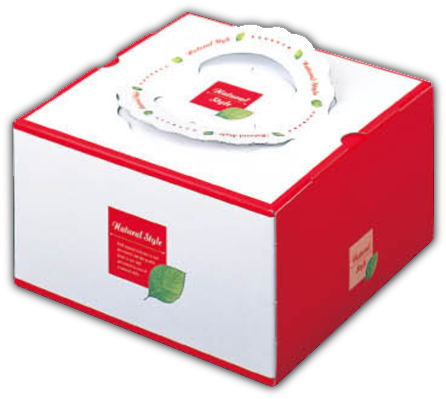 11-1/8 x 11-1/8 x 5-1/2"
Ammy: Also available with trays (please see the link at the top for all cake boxes and tray pricing). 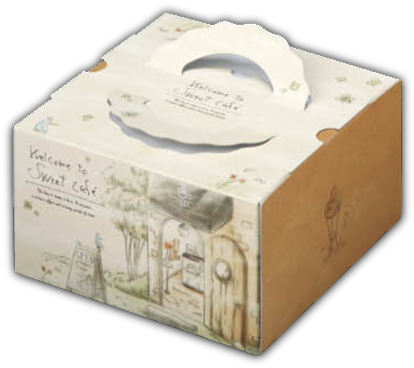 Sweet Day: Also available with trays (please see the link at the top for all cake boxes and tray pricing). Pastels: Also available with trays (please see the link at the top for all cake boxes and tray pricing). 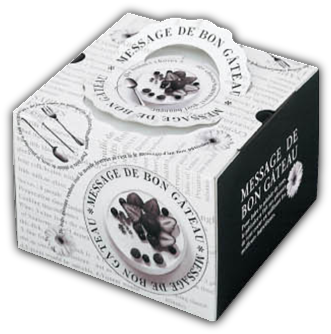 8-3/8 x 8-3/8 x 5-3/4"
Message: Also available with trays (please see the link at the top for all cake boxes and tray pricing). 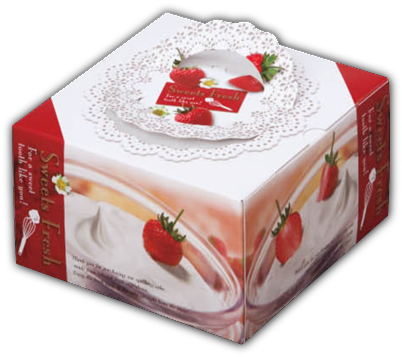 Fraise: Also available with trays (please see the link at the top for all cake boxes and tray pricing). 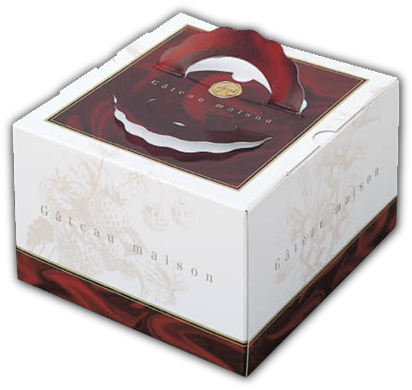 Rouge: Also available with trays (please see the link at the top for all cake boxes and tray pricing). 5-1/2 x 5-1/2 x 4-1/2"
Red: Also available with trays (please see the link at the top for all cake boxes and tray pricing). Orange: Also available with trays (please see the link at the top for all cake boxes and tray pricing). 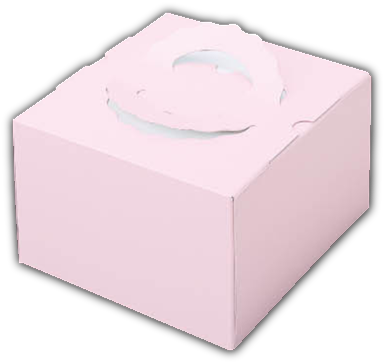 Pink: Also available with trays (please see the link at the top for all cake boxes and tray pricing). 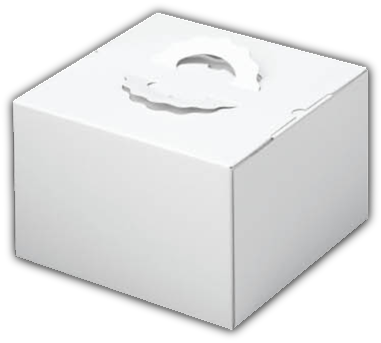 Shell-P: Also available with trays (please see the link at the top for all cake boxes and tray pricing). 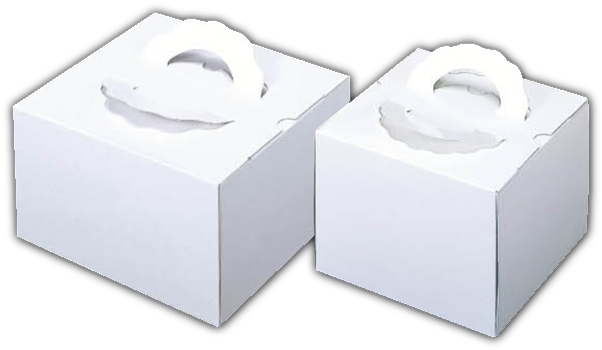 5-1/2 x 5-1/2 x 4-1/8"
140 White: Also available with trays (please see the link at the top for all cake boxes and tray pricing). 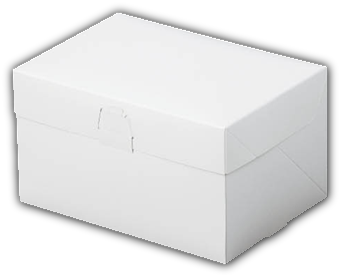 5-1/2 x 5-1/2 x 5-1/2"
178-200 White: Also available with trays (please see the link at the top for all cake boxes and tray pricing). 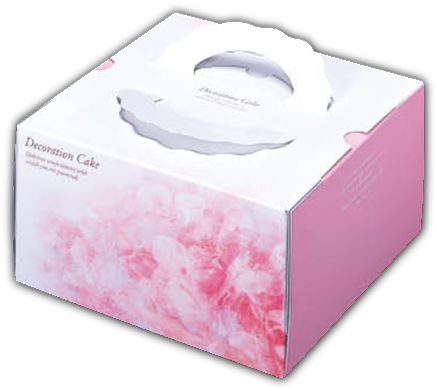 8-3/8 x 8-3/8 x 7"
11-1/8 x 11-1/8 x 7-7/8"
5-3/8 x 5-3/8 x 4"
Petit Deco: Also available with trays (please see the link at the top for all cake boxes and tray pricing). 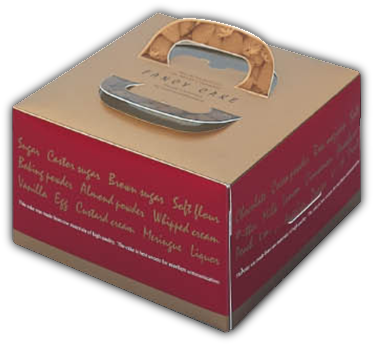 TKD: Also available with trays (please see the link at the top for all cake boxes and tray pricing). 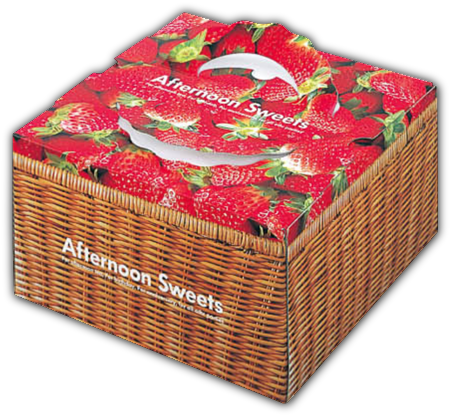 6-1/4 x 6-1/4 x 4"
FB Sun Fruits: Also available with trays (please see the link at the top for all cake boxes and tray pricing). 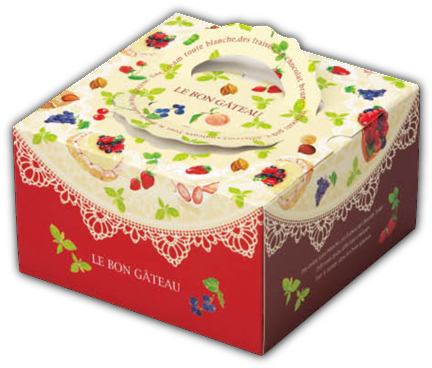 FB Eiji: Also available with trays (please see the link at the top for all cake boxes and tray pricing). 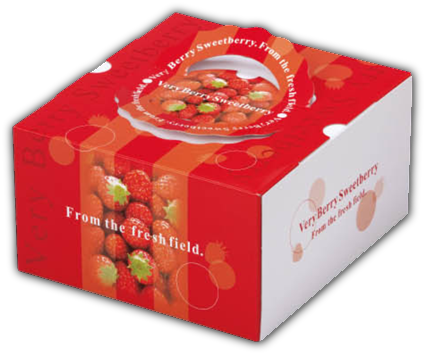 Cream Berry: Also available with trays (please see the link at the top for all cake boxes and tray pricing). 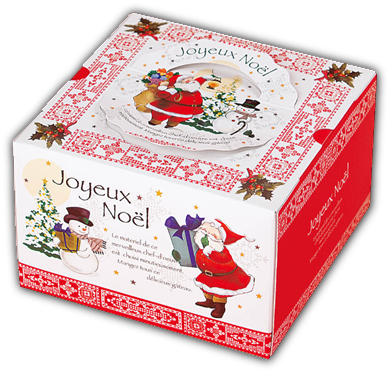 Wonderful: Also available with trays (please see the link at the top for all cake boxes and tray pricing). 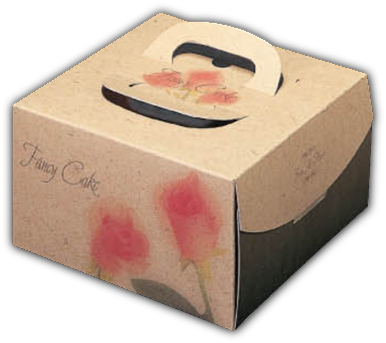 6-1/4 x 6-1/4 x 4-1/8"
Rose: Also available with trays (please see the link at the top for all cake boxes and tray pricing). 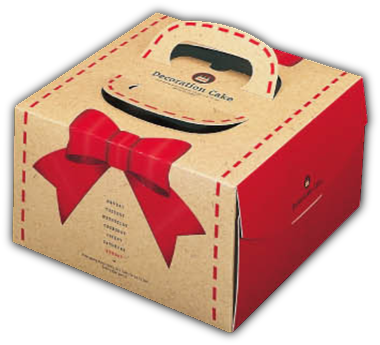 AKA Ribbon: Also available with trays (please see the link at the top for all cake boxes and tray pricing). 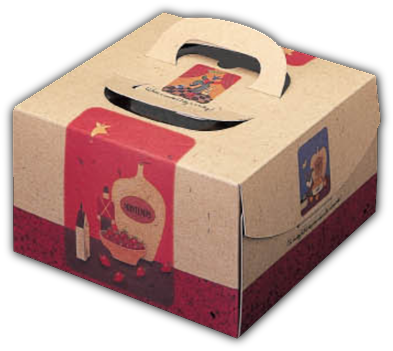 TSD Plum: Also available with trays (please see the link at the top for all cake boxes and tray pricing). 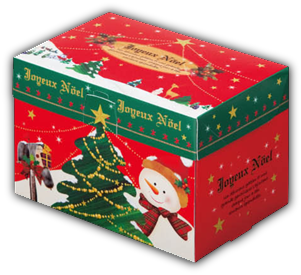 TSD Rouge: Also available with trays (please see the link at the top for all cake boxes and tray pricing). 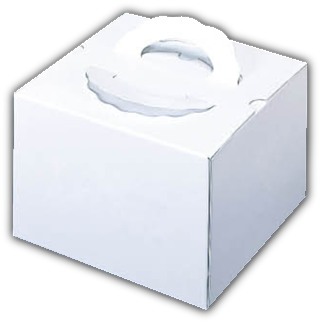 TSD Humming: Also available with trays (please see the link at the top for all cake boxes and tray pricing). 6-1/4 x (6-1/4+3/4) x 5-1/2"
7-1/4 x (7-1/4+3/4) x 5-1/2"
8-3/8 x (8-3/8+3/4) x 5-1/2"
TSD Patissier: Also available with trays (please see the link at the top for all cake boxes and tray pricing). 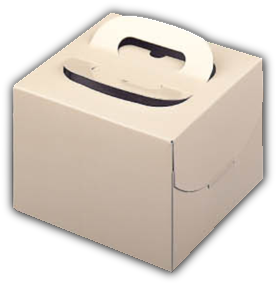 TSD Classic: Also available with trays (please see the link at the top for all cake boxes and tray pricing). 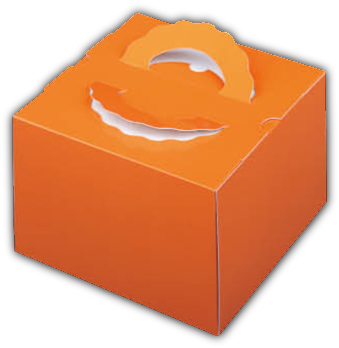 TSD Orange: Also available with trays (please see the link at the top for all cake boxes and tray pricing). 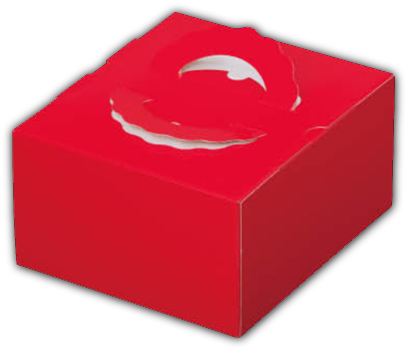 TSD Red: Also available with trays (please see the link at the top for all cake boxes and tray pricing). TSD Momo: Also available with trays (please see the link at the top for all cake boxes and tray pricing). 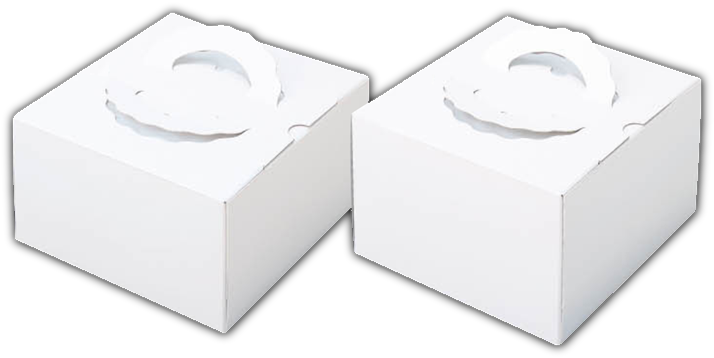 5-1/2 x (5-1/2+3/4) x 4-3/4"
120 & 140 TSD White: Also available with trays (please see the link at the top for all cake boxes and tray pricing). 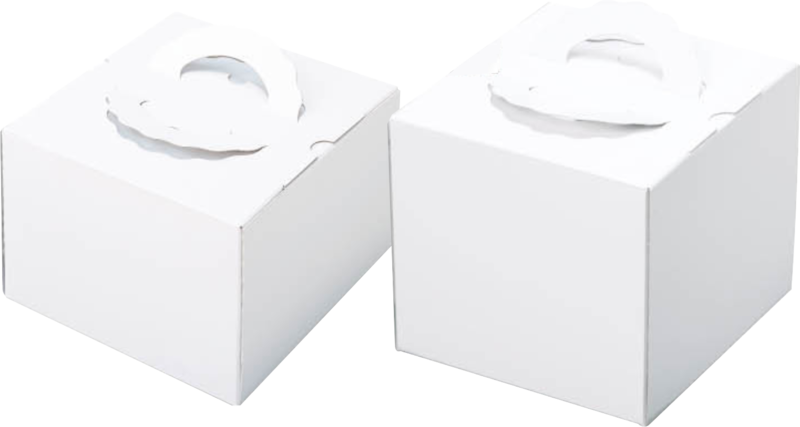 155 & 178 TSD White: Also available with trays (please see the link at the top for all cake boxes and tray pricing). 6-1/4 x (6-1/4+3/4) x 6-1/8"
7-1/4 x (7-1/4+3/4) x 6-1/8"
8-3/8 x (8-3/8+3/4) x 6-1/8"
10 x (10+3/4) x 6-1/8"
6-1/4 x (6-1/4+3/4) x 7"
7-1/4 x (7-1/4+3/4) x 7"
8-3/8 x (8-3/8+3/4) x 7"